A different kind of investigation. Craftsmanship from the foundation up. We ensure sound design and legal compliance throughout a building's lifespan, from cradle to grave. With over 30 years experience, our staff offers a unique blend of expertise as designers and consultants. We’ve been told this combination of talents uniquely supports our clients’ needs, but we believe our hands on experience and knowledge of building systems are the foundation for the specialized services we offer. 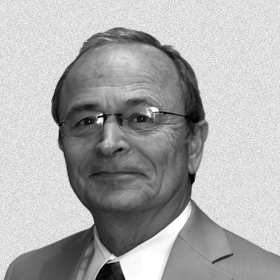 Jack Diehl has over 40 years in the practice of traditional architectural, forensics and expert witness fields. His extensive knowledge of these complementary fields assures clients they indeed are beneficiaries of accurate and well founded consulting services. His testimony spans over 200 depositions and trials for Plaintiffs and Defense clients. Jack is registered in 10 states and is a Licensed General Contractor in California. Dale Gottdank has 30 licensed years of experience of forensic and traditional architecture, and expert witness services. With state licenses which include California, Colorado, Nevada and New York, Dale’s investigations range from multi-family developments to single-family homes, in addition to commercial and institutional projects. His analysis and reporting are accurate, thoroughly researched and support well-founded opinions. 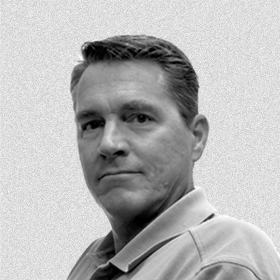 Dale contributes valuable organizational and problem solving skills, with a specialty in construction methodologies and forensic architectural analysis to our practice. 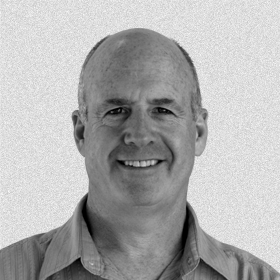 Brad Hammerstrom’s experience spans over 28 years in the fields of construction and architecture. His expertise includes the production of working drawings, construction administration, forensic site inspection and testing, and expert witness testimony. His grasp of software solutions provides clients with a set of innovative and flexible tools for cost efficient and accurate analysis, communication and reporting—required in more complex matters. Brad’s breadth and depth of experience makes him a valuable resource for DGA clients. Marc Harris has over 10 years of experience in the field of traditional architecture, providing design project management and construction administration services for residential, commercial and educational projects. 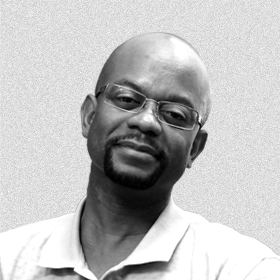 He has over 12 years of experience in forensic architecture, including forensic investigation, code and standards analysis, repair recommendations and coordination of reconstruction services. His research and organizational abilities provide detail and accuracy that suit DGA clients' needs. 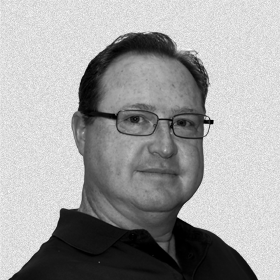 Sean Hoxie has played a role the construction industry for over 24 years. In addition to his California and Arizona architectural licenses, Sean’s California contractor license and various manufacturer and industry certifications further validate his quality assurance tasks. His experience—which includes years of traditional architectural practice, forensic investigative consulting, waterproofing oversight and inspection services for DGA—makes him a valuable asset to any service or project he approaches. Our job is to answer the what, why and who questions on the path to uncovering truths behind design decisions and construction defects. From drawings to standardized building code, we examine initial findings using a variety of filters to validate our recommendations. Our reports include detailed issue descriptions and resulting damages to ensure the integrity of subsequent construction efforts. We go beyond standard investigative methods and procedures with state of the art technologies to ensure accurate reporting, lower costs, and side-step unnecessary intrusive testing methods. Considered the pathology of a built environment, forensics tests those who know how the disparate parts of a building can and should come together. We take pride in the methods and tools we employ to gather facts, distill them for insights and report credible results. Beyond digital imaging and voice recordings, our non-intrusive testing equipment includes infrared thermography, calibrated precipitation aparatus' and digital moisture meters. Whether it's identifying moisture conditions or areas of heat loss in materials, we possess the know-how to pin down causation. Our team has a broad range of experience as designated architectural experts for plaintiff parties and developers in defense of plaintiff parties, in addition to a host of sub contractor disciplines. In matters of litigation, building envelope assemblies such as roofs, decks, planters, and exterior finishes are often deficient at penetrations and perimeter conditions - where the system interacts with the work of other trades. Incorrect or incomplete drawings, standards and workmanship issues can result in development or construction defects. That's where we come in. Our proprietary Forensic Architecture Database takes the complexity out of cases, quickly and economically providing our clients with previously unavailable information. Lending our design and forensic expertise to our waterproofing and quality assurance consulting services makes us a valuable third party during the construction process. In many cases, we foresee the development of deficiencies before they’re constructed or covered by subsequent finish materials. Our peer review services focus on identifying potential shortcomings of construction documents prior to breaking ground. This technical competency allows us to review drawings before construction even begins. Once it does, we continue to monitor building techniques and processes to provide compliance and ensure construction accountability for our clients. By evaluating a range of building methods and materials through our forensic engagements, our team possesses a unique advantage over traditional architecture firms when it comes to design reconstruction. Perhaps one of the most misunderstood and under-estimated disciplines in the architectural field is the area of Reconstruction Design and Construction. The inherent confinements within the reconstruction field present a set of special challenges. Dealing with, identifying and solving the problems within an established, built environment is not for the inexperienced. We know what does and does not work to our clients’ benefit. Our reconstruction designs and building details solve existing problems while addressing future needs. In its purest form, design is a process of problem solving. Recognition of this perspective is reflected in our portfolio of design solutions. While our years of traditional architectural design experience includes residential, commercial and institutional projects, we tend to focus on unusually challenging building types. Our recent work includes aviation aircraft and pilot support facilities, a contemporary single family home and support services for a subterranean wine cellar. We work on behalf of our clients and property owners, acting as their eyes and ears during the construction phase. We monitor construction schedules, cost, progress and quality while providing support services such as instruction or clarification to contractors as required. Our services also carry over to the bidding and negotiation process. To minimize the negative impact on a building from construction methods and outside elements, we conduct research on a per-project basis to recommend the best set of tools and methods needed. Following construction, the Diehl Group determines substantial completion and ensures proper warranty documentation is provided by contractors.